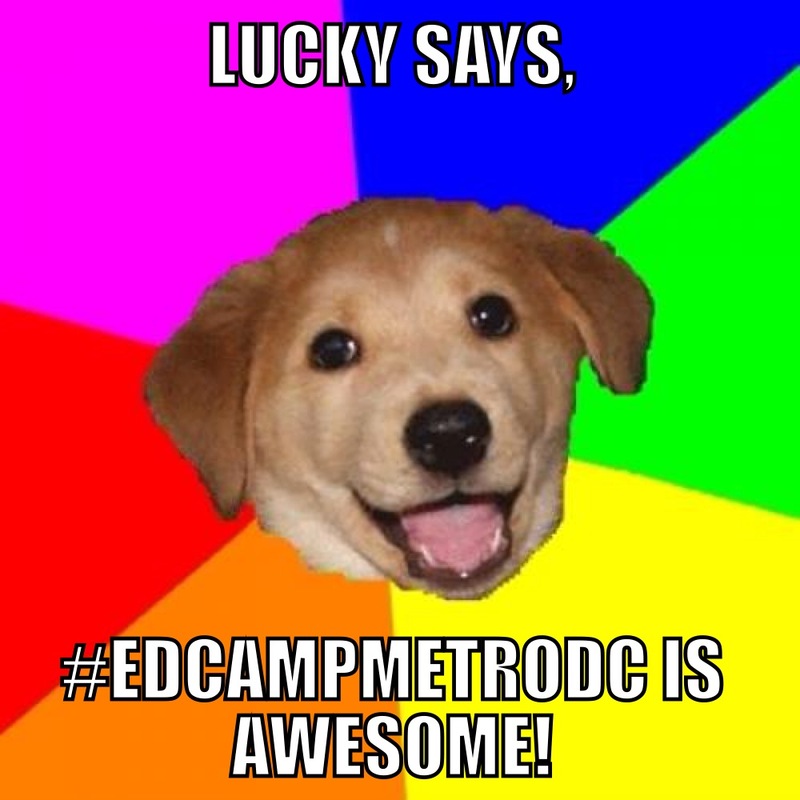 edcamp MetroDC has come and gone and I have that amazing feeling of happy exhaustion that comes from months of planning coming to fruition. As an edcamp organizer, I feel like this is one of my babies. As we plan, we draw together on the strengths and resources of our local and national PLN networks. We use lots of collaborative tools. We ask for a LOT of free stuff. We make pleas on our networks and within our faculty to build a registrant list. We use a lot of tape, sticky notes, bandwidth, and coffee. And then the day arrives. And it is like #educhristmas. I have never been to an edcamp that doesn’t seemingly fall into place and leave its participants inspired and excited about their educational practice. I have seen twitter friends meet in person, old friends cling to their annual day together, veterans teaching newbies, and ideas new and old swirl in the ether. It is my favorite edu-day. This year was no exception. Our team worked for many months to pull our program together with hopes of leaving no detail aside. We each naturally took a role in leadership that highlighted our own strengths. (And as for me, challenging my fear of asking people/businesses for things, and GETTING them!) It was a fairly pain-free collaboration; to come together and put an event out there for educators to learn–what an honor! I had the pleasure of sharing edcamp with many of my Norwood colleagues, which was a great blessing! To see their enjoyment of edcamp was a gift to me. I also took advantage of my own learning time, particularly enjoying sessions on coding and mindfulness. And, as always, my edutriplets and I were able to share our knowledge and love of Twitter with the newbies in the room. And so a brief hiatus from edcamp planning begins until we start fresh for 2015. 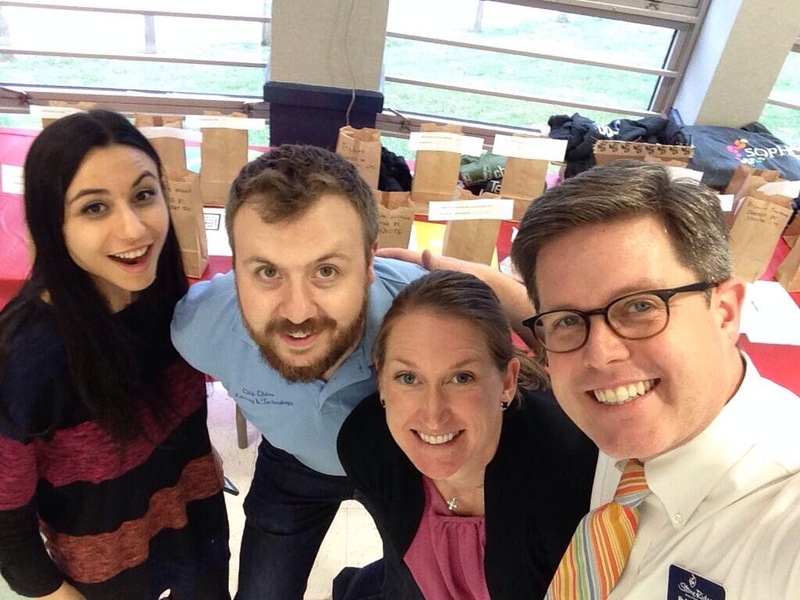 In the meantime, edcamp Philly is in May and edcamp Baltimore will be in the fall. edcamps happen all over the world, every weekend and every one feels like #educhristmas.